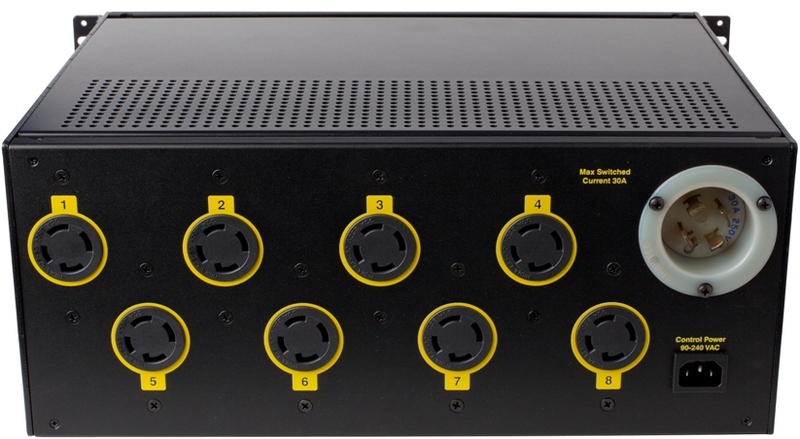 Rack Mount 3-Phase Switched and Metered PDUs. Built to your spec. Are competitive suppliers quoting long lead-times? Are you having trouble finding a product that exactly suits your needs? Let DLI custom build for you. In many cases, we deliver fully custom products faster than others can ship "standard" models. •Your choice of input and output connectors - We have thousands in stock! •Your choice of form factor - rack mount, vertical, or completely custom. Features like scripting, syslog, power billing and email alerts are standard. Ordering in volume amortizes NRE. Whether you need 50 PDUs or 1,000 DLI is here to help. We build a rugged, safe product in a reasonable timeframe. How can we help you? Have a look at our standard products: desktop web switch, DIN relay, Vertical PDU , 208-240V controllers and High current DC switches. Get it built your way. Quickly. Your choice of inlets and outlets. Thousands in stock. Reliable web power control. Automatic reboot. Powerful. Easy to use. Fully programmable. $169 or less! Order now. Risk free. Used worldwide in server rooms and datacenters. $169 or less! Order now. Risk free. 120V model with dual 15A inputs, battery backed up server. Click for more information.